Between Until Dawn, Telltale’s Game of Thrones, and Tokyo Jungle, it’s hard to go wrong with free games. Among the many things to be excited about this summer, the return of HBO’s Game of Thrones is pretty high on the list. 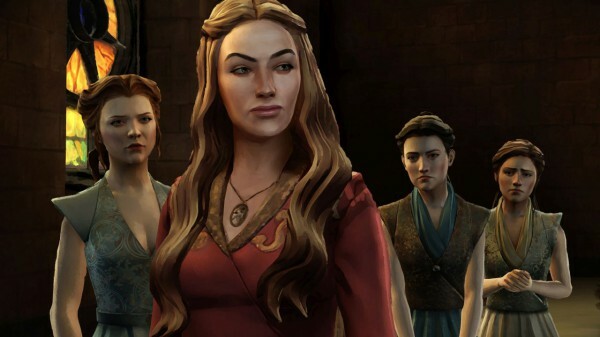 Presumably, Sony is excited too – which is why Telltale’s Game of Thrones is front and center in the PlayStation Plus free games line-up. Starting in July, you’ll be able to get the full season absolutely free if you have a current PS Plus subscription. But the fun doesn’t stop with attacks on your Westeros family! The episodic adventure trend continues with Until Dawn, Supermassive Games’ love letter to classic horror films. Taking control of a band of teenagers residing in a cabin in the woods, your job is to make decisions that will keep them alive until sunrise. Since you don’t know the consequences of your actions until it’s too late, this can be trickier than it sounds – but it’s great fun watching everything unfold. How about post-apocalyptic quirkiness? Tokyo Jungle puts you in the paws of corgis, cats, bears, and other wild animals trying to survive in an urban Japan where every human being has disappeared. You’ll have to forage for food, attract mates, and avoid environmental hazards in this adorable and occasionally shocking PS3 title, but I can guarantee you haven’t played anything like it. Rounding off July’s free game collection is Capcom’s fighting game Darkstalkers Resurrection, the experimental platformer Element4l, and the colorful bullet hell Don’t Die Mr. Robot. And if you’re in Europe, you’ll get an additional bonus: That’s You, a quiz-based party game played in-person by linking your PS4 and smartphone. All PlayStation Plus titles are available starting from July 4th, 2017.